the sound of music | THAT'S ENTERTAINMENT! Welcome to another Wildcard Wednesday! 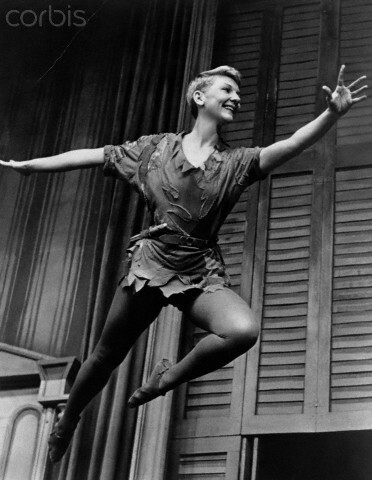 We’ve already celebrated Mary Martin’s centennial (which was this past Sunday) by highlighting her star turn in Weill and Nash’s One Touch Of Venus (1943) on this week’s Musical Theatre Monday. But I wanted to give our darling Mary her own post, and share some special treats relating to our favorite Peter Pan. Though Mary wasn’t one of the handful of starlets to play the titular role in the Original Broadway production of Hello, Dolly! (1964), she did tour with the show in the states, and then went to Vietnam, Korea, and Japan with it, before returning and opening the production in London. (Mary’s actually one of my favorite of the Dollys — she did some thrilling vocal things that the other ladies didn’t do.) Here’s a clip from a 1966 NBC Documentary about the overseas tour. And last, but not least, here’s Mary tearing down the house with “Flaming Agnes” in the Pre-Broadway Tryout in D.C. of I Do, I Do! (1966). Come back next Wednesday for a whole new Wildcard post! And tune in tomorrow for Xena Thursday!